TNT has ordered new seasons of three of the network’s hit series. The Closer, which continues to rank as ad-supported cable’s #1 series of all time, will return for its seventh season. 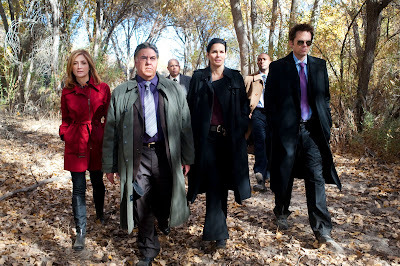 Rizzoli and Isles (pictured left), which currently ranks as cable’s #1 new series for the year-to-date, will return for a second season. Leverage, which is performing exceptionally well in its new Sunday timeslot, will be back for a fourth season. TNT has ordered 15 episodes each of The Closer and Leverage, along with 13 episodes of Rizzoli and Isles, with all three slated to start their new seasons in 2011.